Tunis is a city in Tunisia. The National flag of Tunisia is displayed on the side. Tunis (Arabic: تونس‎, Tūnis) is the capital of Tunisia and also the Tunis Governorate, with a population of 1,200,000 in 2008 and over 3,980,500 in the greater Tunis area. It is Tunisia's largest city. Situated on a large Mediterranean Sea gulf (the Gulf of Tunis), behind the Lake of Tunis and the port of La Goulette (Halq al Wadi), the city extends along the coastal plain and the hills that surround it. At the centre of more modern development (colonial era and after) lies the old medina. Beyond this section lie the suburbs of Carthage, La Marsa, and Sidi Bou Said. The medina is found at the centre of the city: a dense agglomeration of alleys and covered passages, full of intense scents and colours, boisterous and active trade, a surfeit of goods on offer ranging from leather to plastic, tin to the finest filigree, tourist souvenirs to the works of tiny crafts shops. Just through the Sea Gate (also known as the Bab el Bahr and the Porte de France) begins the modern city, or Ville Nouvelle, transversed by the grand Avenue Habib Bourguiba (often referred to by popular press and travel guides as "the Tunisian Champs-Élysées"), where the colonial-era buildings provide a clear contrast to smaller, older structures. 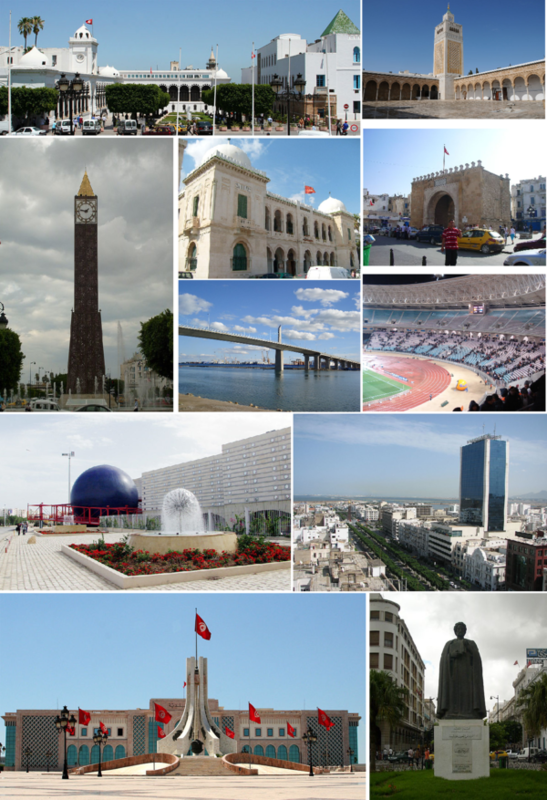 As the capital city of the country, Tunis is the center of Tunisian commercial activity, as well as the focus of political and administrative life in the country. The expansion of the Tunisian economy in the last decades is reflected in the booming development of the outer city where one can see clearly the social challenges brought about by rapid modernization in Tunisia. What is the time in Tunis? What time is in Tunis? What is the local time in Tunis? What is the time zone of Tunis? Tunis Clock - What is it? Tunis Time - What is? It is also important to note that this page displays current information about the Current time in Tunis and local time in Tunis.